Whoop-de-doo! 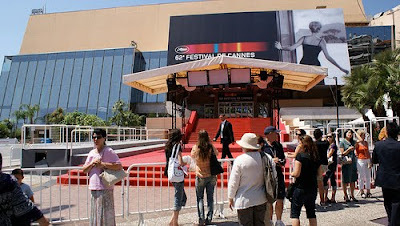 The Cannes film festival starts today! Aren’t we the stylish family? Pink leggings on my son and a $5 Old Navy tee on my hubby, complete with American flags, just in case anyone was fooled by our incredible accents. Ha ha. I can’t really explain the tee shirt (he really wasn’t the obnoxious American tourist, I promise) but perhaps I should try to explain the pink leggings or else Sammy will be so humiliated when he sees this post that he will make me email the whole world that we made him do it and it wasn’t his fault. Which is true, not that he cared at the time. 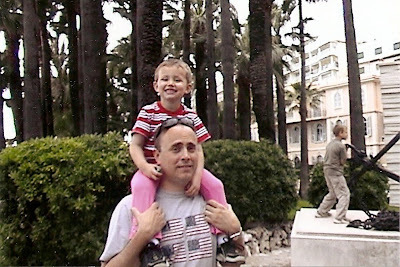 French school gives the kids had a long April vacation, so two other families and ours decided to make good use of the time and take a trip to Cannes. Together. Six adults and eight children. We were clearly out of our minds. So we spent our vacation trying to remember we had children and to keep an eye on them, while our eyes kept wandering back to this. They were preparing for the film festival just as we arrived. Instead we saw these superstars. And see that lovely aluminum siding behind them? 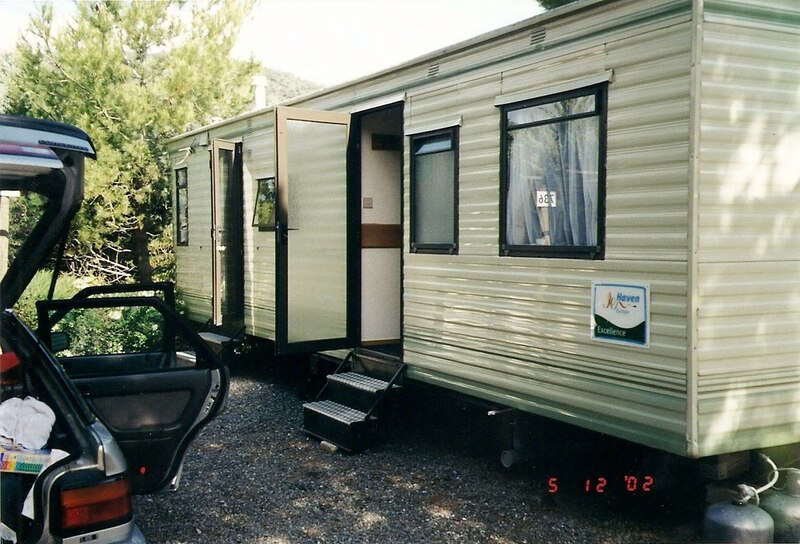 It’s one of our spacious motel rooms! It really was ideal. We could spend our days sightseeing and behaving ourselves, and then go back to the campsite and let the kids run wild, play ball, and squeal as much as they wanted. We ate out for lunch, and each family took a night to cook, followed by a raucous, 14 player game of Pit! 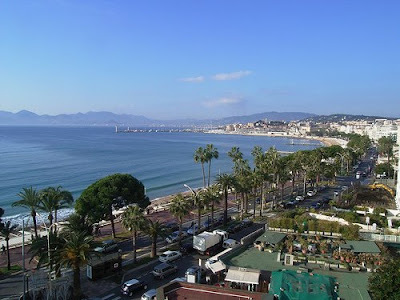 Ah Cannes! The palm trees, the sparkling sands, and the pull- out bunk beds! Quelle joie! Have you ever taken a multi-family vacation? Good memories? 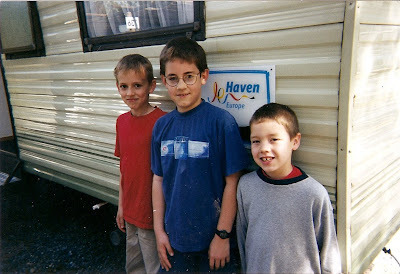 I still remember all those beach trips with the Huggins family. Anybody want to go crabbing?